During your travels, it’s hard to remember all the places you might have stopped along the way. Like the time you pulled over on the side of the road to take a photo of a sunset, or that little town where you stopped for lunch, or that selfie you took at that random bar. Keeping track of all your adventures is now easier with the True app, a real-time social network that helps you index and photo journal your experiences each day. The company Hello Mobile, wanted to build the Trueapp.Co platform to capture moments in real-time without spending time logging your location and crafting your story. They also wanted it to be fun, useful, and protects one’s privacy in a different way. Think of it as Google maps meets Instagram stories. Through the True feed, the algorithm begins to build a real timeline of your life based on locations you have visited and the routes taken. Now if it could count steps, that would be even better. 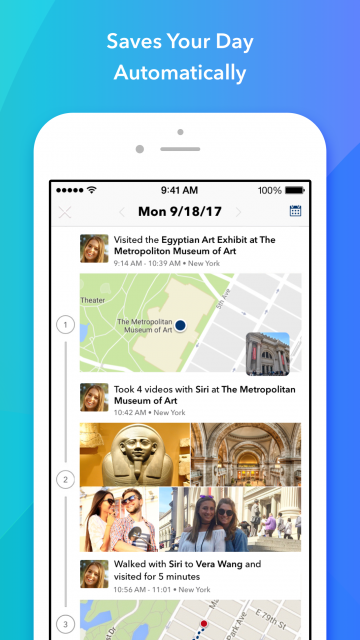 The DAYS feature of the app is an automatic story built by location and motion. The convenience factor of this app is that you don’t have log each place you stopped, and find a tag for a location for each post, it does it for you. At the end of the day users can create a story of their adventure and share with friends. Within the feed, True will show stories in chronological order and users can build and edit their stories anyway they want. “No one else is doing anything like that in social and we want to use features like Days to redefine what sharing could be. It’s our own social network, so we don’t have to follow traditional rules and we’re free to build things we think you’ll love,” Cox said. The company is also focused on privacy and control for their users. The app offers custom privacy settings for any individual place, including hiding the visits to certain places, home or office. “You can share with anyone, anyway you like by sorting them into Groups. Sharing to each group can be managed separately,” according to the company site. 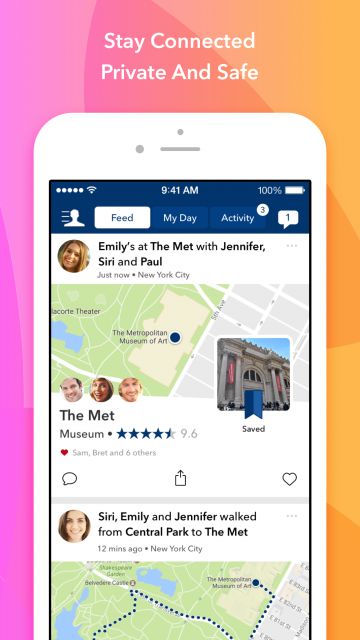 The app also has this private “Find Your Friends” type feature called “Meetup” where it can track your friends or family members in route and provides an ETA. 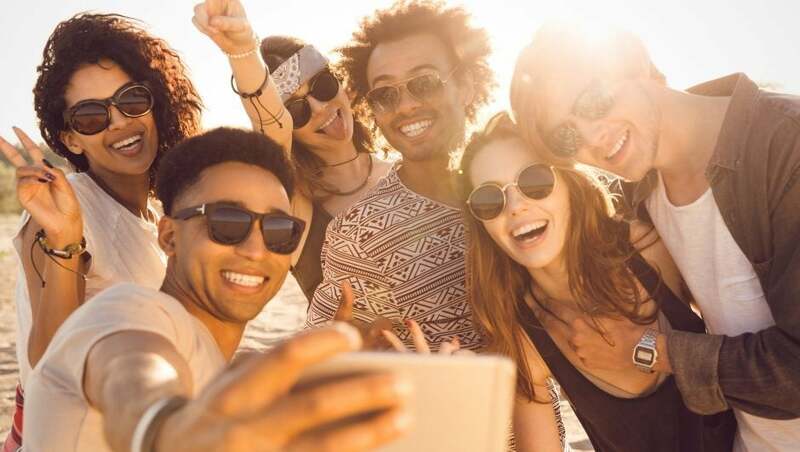 The company is focused on building a different kind of social network where people can share their experiences in an authentic, positive and safe way. “Our plan is to give you a feed experience you can’t find anyplace else, free from fake news, fake friends and political discussions,” Cox said. 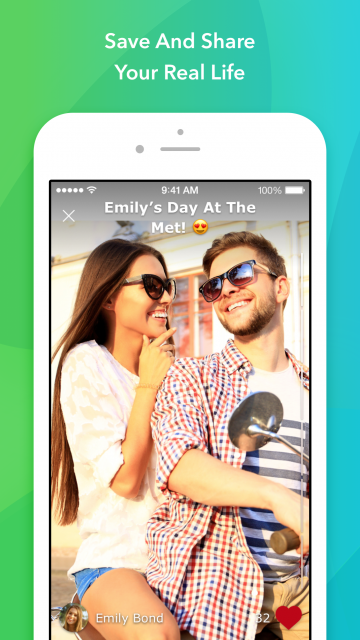 To date the app has been used by half-million people and can be found at Trueapp.Co. This article was provided in partnership with Domain .Co, and bringing people together. Learn more about purchasing a .CO domain here.